Montana is one of my favorite states. The mountains are beautiful. Glacier and Yellowstone are right there. There are forests and rivers and hot springs. It really is “Big Sky Country.” Every time I visit, the first thing I notice is how big the sky seems. 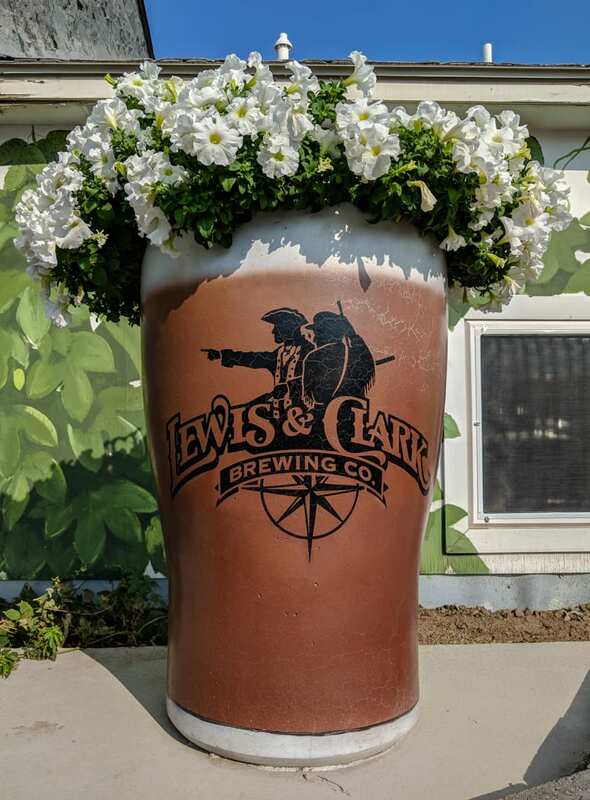 Maybe it’s just good marketing, or maybe it has something to do with the mountains. I don’t know, but it couldn’t be more accurate. We have family there. It’s what brought me to the state in the past, and it’s what brought us there on this trip. One of our goals for this trip, aside from visiting national parks and other cool places, was to spend more time with family and friends that we don’t otherwise get to see much. When we were first planning our route, we knew we were starting in the north east, and we basically had two options from there: south or west. We have friends scattered down the east coast, so that was a big draw to go that direction. We both have spent a lot of our lives on the east coast, though, and it just wasn’t as exciting as heading west, so that was that. Once that decision was made, I knew right away that our westward movement was going to target Montana. We planned that first – we wanted at least a few weeks with family, and we wanted to head south before it got too cold, so we aimed to be there for the month of September. With that set, we worked backward to fill in the rest of the stops we wanted to make in the time we had available. Most of our time in Montana was spent relatively uneventfully, and that was by design. We’d been pretty rushed as we traveled west, and we planned this as a time to slow down and recover. 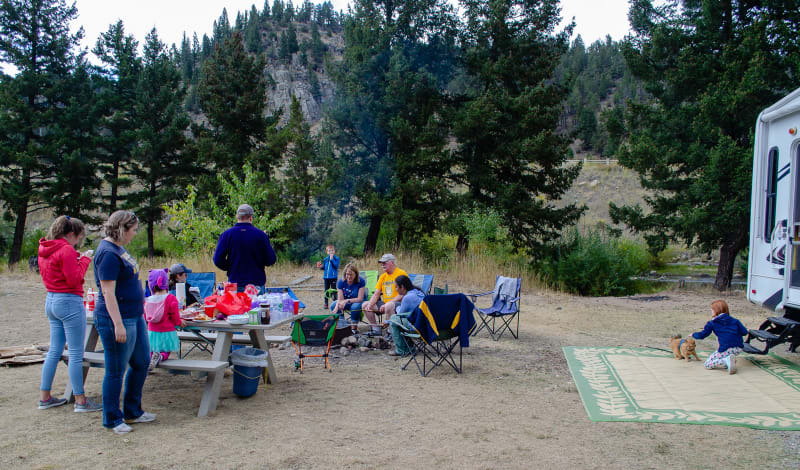 We mostly just spent time with family – dinners, drinks, sporting events, and fun campfire cookout. We did make sure to do a little sightseeing while in the area, too, though. Both Sushila and I had visited Yellowstone in the past, so we decided to skip that before we arrived. We originally hoped to go to Glacier National Park; however, a large part of it was closed due to fires, so we decided it wasn’t worth the time now when we knew we’d be back next summer anyway. The first stop on our ghost town tour was Bannack2. 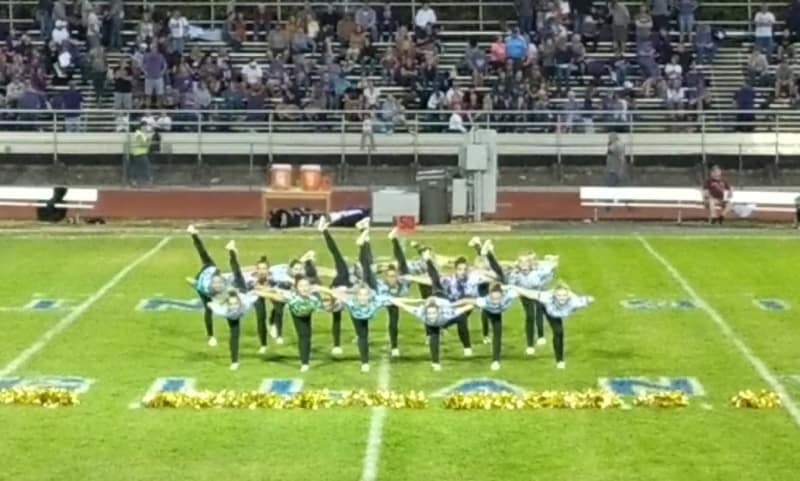 It was also my favorite. 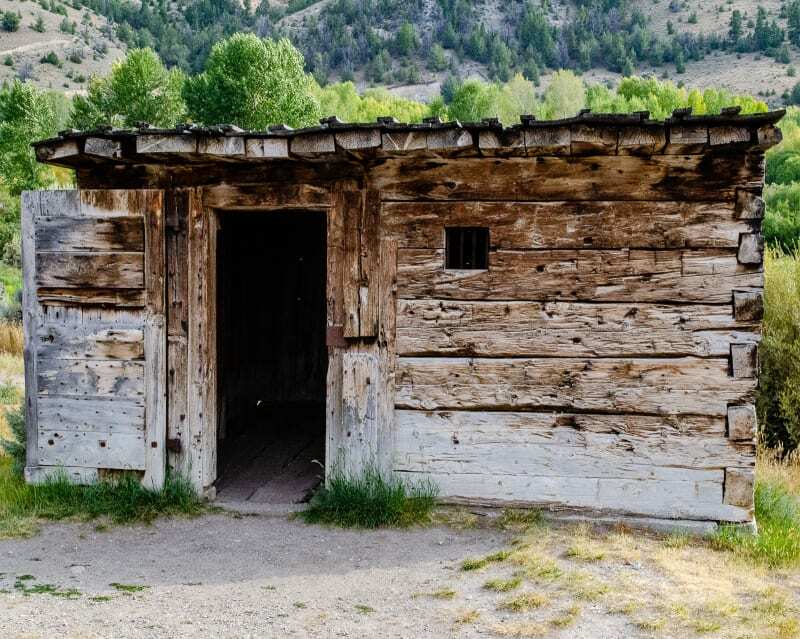 Bannack was founded on the site of the first major gold discovery in Montana in 1862, and by 1863, the town had over 3,000 residents. It peaked at over 10,000 residents, and it was briefly the capital of the Montana Territory (Montana didn’t become a state until 1889). When the gold ran out, the town began to fade, and there were only a few hundred residents by the end of the century. Impressively, the last few residents remained until the 1970s. Luckily, before all of the buildings were sold off or destroyed, Montana ended up preserving the site as a State Park, and 60 historic buildings still remain at the site. Hotel Meade, originally built as a courthouse in 1875, is reported to be haunted. Since it’s a state park, it definitely felt the most authentic of all the towns we visited. You could walk all through the town, and you could explore inside a majority of the buildings. Most were completely empty, though, so you had to try to imagine what they may have looked like while in use. There was a lot of great historic information about the buildings, though, and it was really cool to experience such a well-preserved frontier town. Most buildings were pretty empty inside. This one had an old bar, at least. Most of the water damage happened when the town flooded a couple years ago. 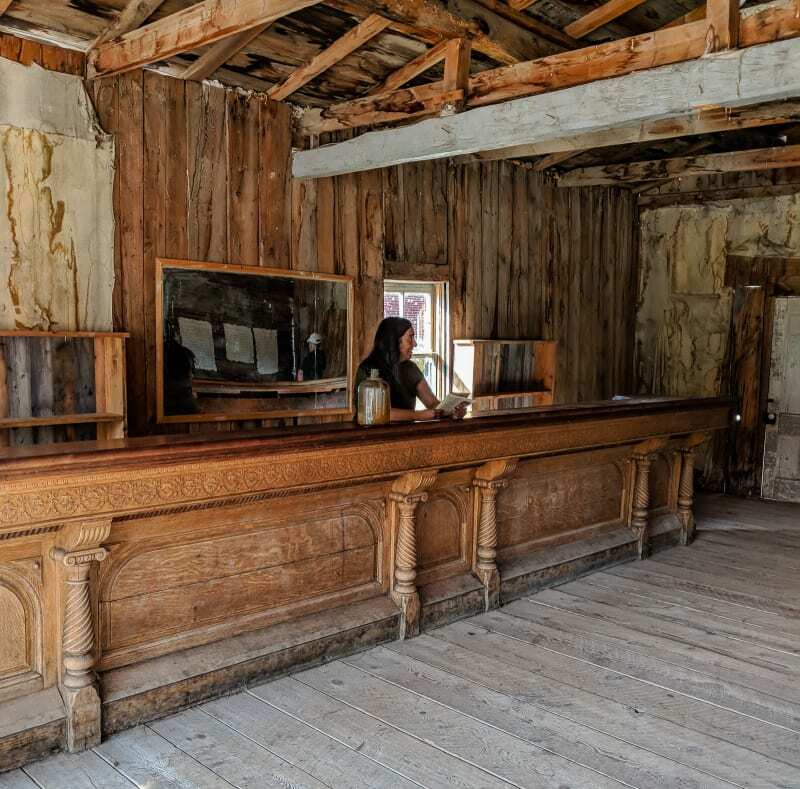 Up next was Virginia City, the most well-known ghost town in the state. 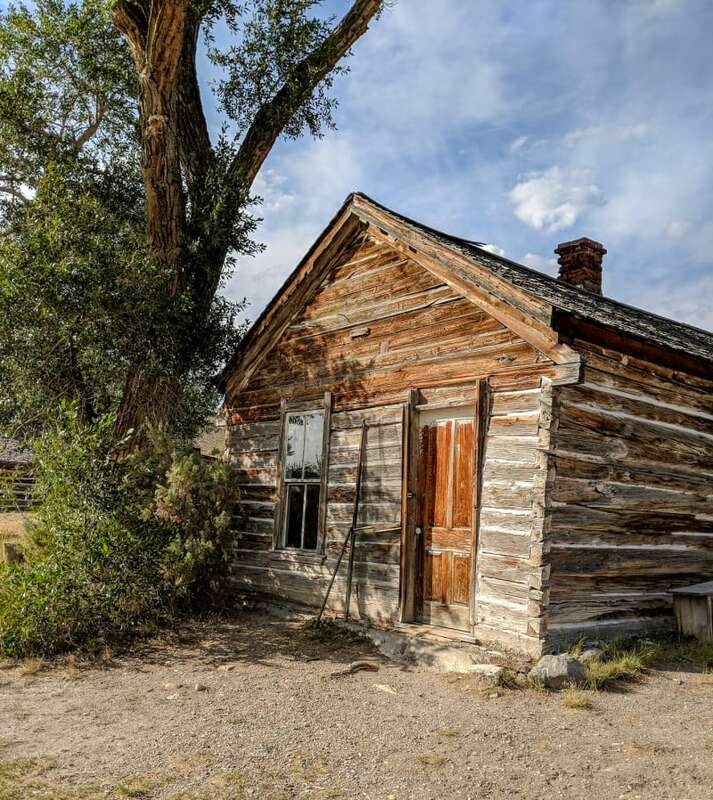 It’s story is similar to Bannack - gold was discovered here in 1863 as well, and the town also peaked at over 10,000 residents. 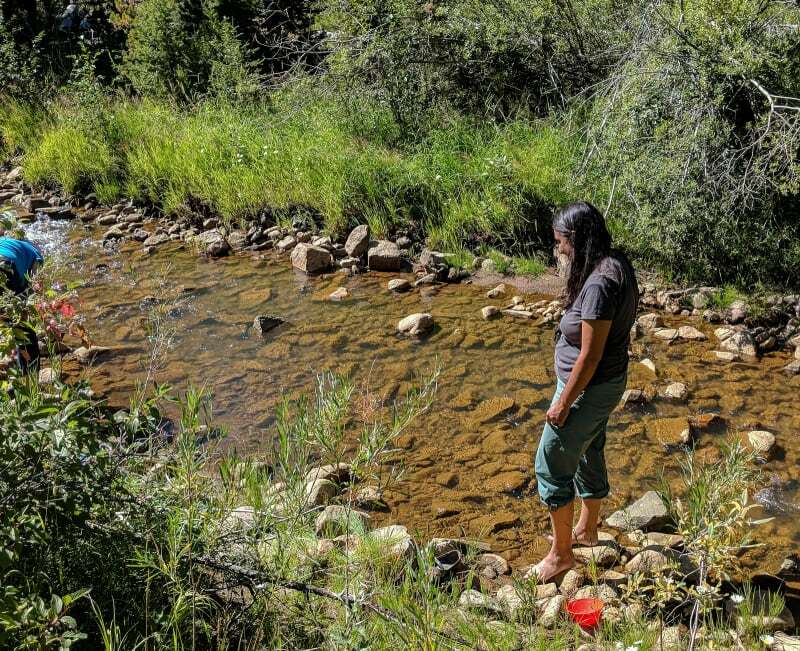 The gold discovery in this region, though, ended up being the richest placer gold strike in the Rocky Mountains. 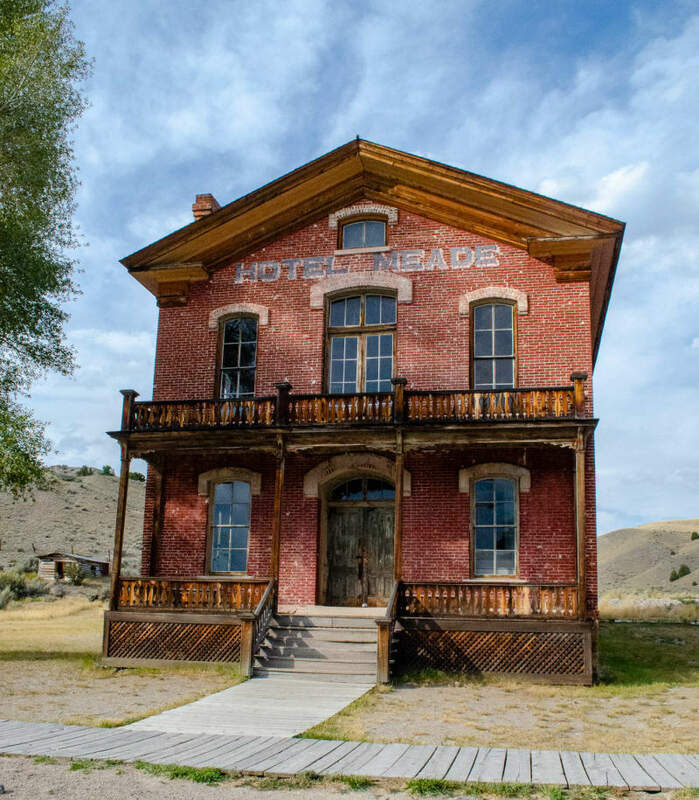 While the town was still in decline by the early 1900s, it stayed populated longer than Bannack, and close to 150 historic buildings still remain. Most buildings were originally purchased and preserved by Charles and Sue Bovey, heirs to the General Mills fortune, and it became a tourist destination as early as the 1950s. Most of the town is now owned by the state and operated as an open-air museum. 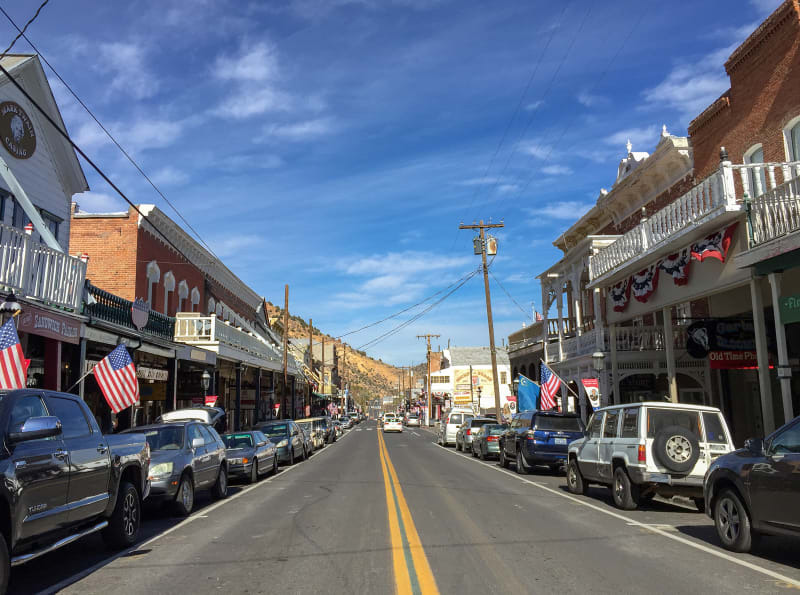 Unfortunately, the historic buildings are interspersed with modern restaurants and shops, and the town really feels more like a tourist trap than an historic site. It also has close to 200 full-time residents, so calling it a “ghost town” doesn’t really feel accurate. 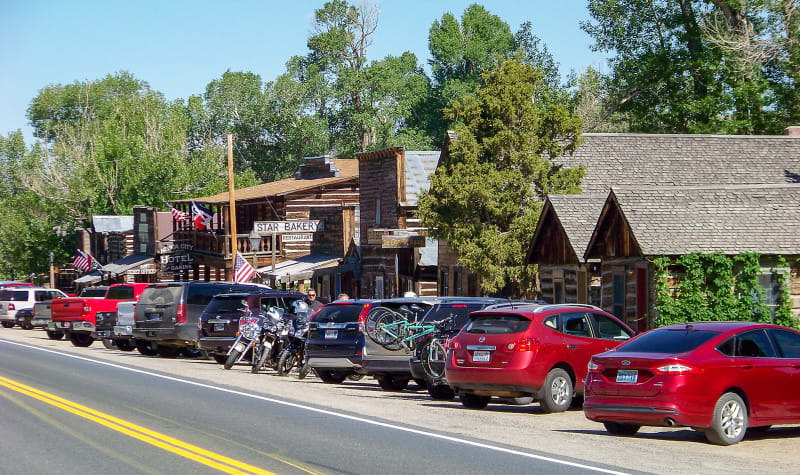 Even if it didn’t have full-time residents, though, the shops and restaurants completely ruin any ghost-town feel it could have had. That said, if you were going to spend more than an afternoon in town, the shops, restaurants, and entertainment might be nice to have nearby. Also, to their credit, many of the historic buildings in town include preserved interiors as well. A few, like the grocery store and clothing store, even note that the items on the shelves are from the original stock of that business when it was in operation. It was pretty cool to see how the buildings would have been set up and used a century ago. Note: I apparently lost my pictures from Virginia City, so these two are thanks to @Famartin and Wikimedia. 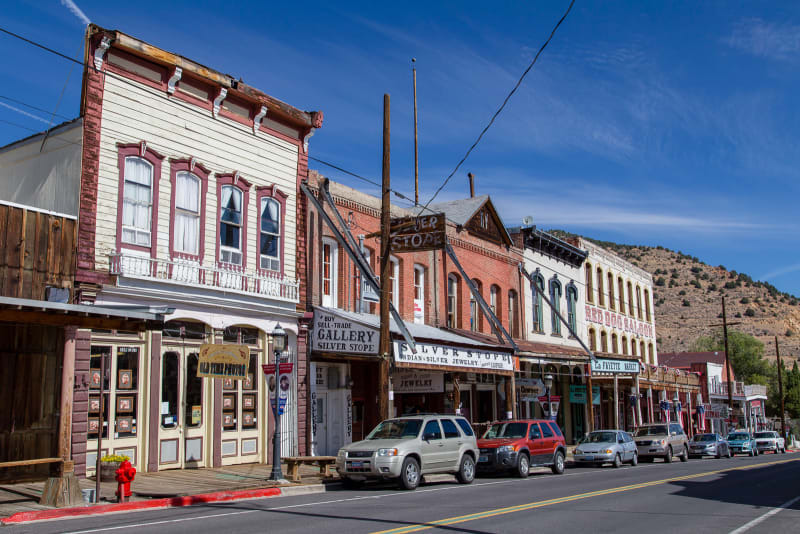 Nevada City is located about a mile from Virginia City, so it’s history is quite similar. The majority of the original town, however, was lost. When the initial boom ended and many residents left, a new mining company began dredging the area, and much of the town was destroyed. Only 14 original structures remain. From the road, there’s not much to see. Both Bannack and Virginia City didn’t have much outside of the main road through town. Nevada City seemed similar, but the main strip was smaller, and it didn’t look like there was much to do. We really only stopped to see the Nevada City Music Hall - North America’s largest collection of automated music machines. The music machines were cool to see, and we listened to every single one that was in working condition. We were about to leave when we noticed some tourists walk in through the back door. Out of curiosity, we went to see what was out back and discovered an entire frontier town! 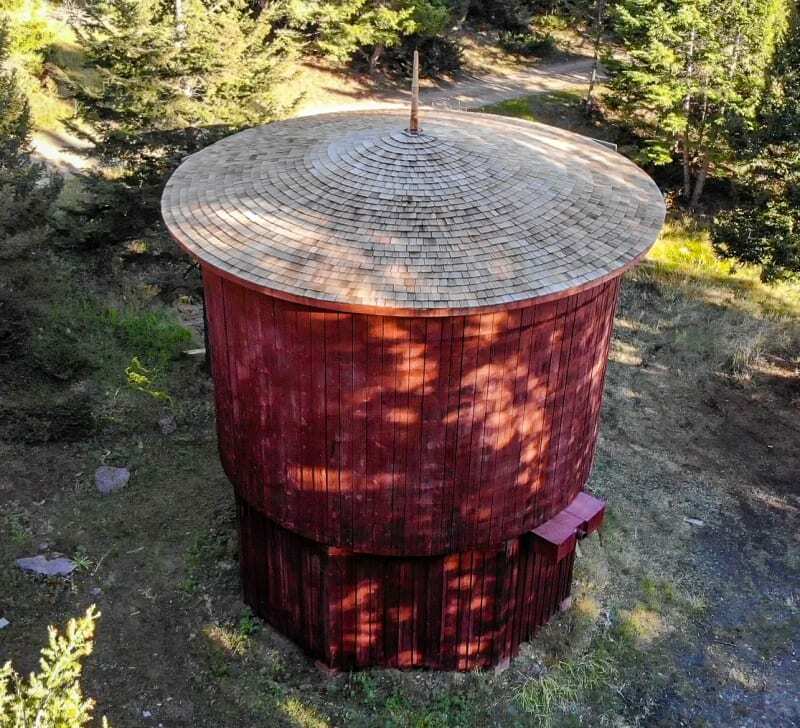 Besides the 14 original structures, it turns out there are over 100 additional historic buildings from various other ghost towns around Montana. The buildings were arranged into a town and restored as an outdoor living history museum. We spent quite a while exploring the town, and we really enjoyed it. 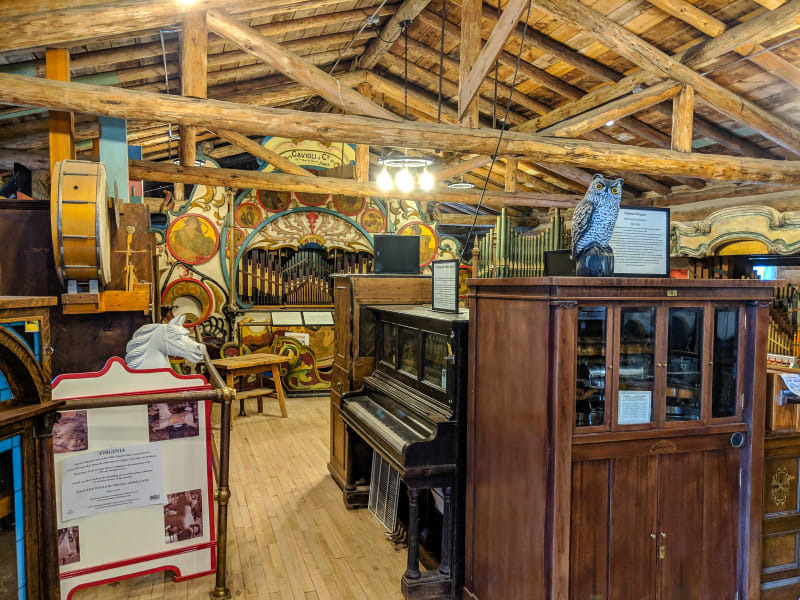 Many of the buildings were filled with historic furniture and supplies, and there was interesting information about the various trades that would have existed in the town at the time of the mining boom3. Music machines at the Nevada City Music Hall. 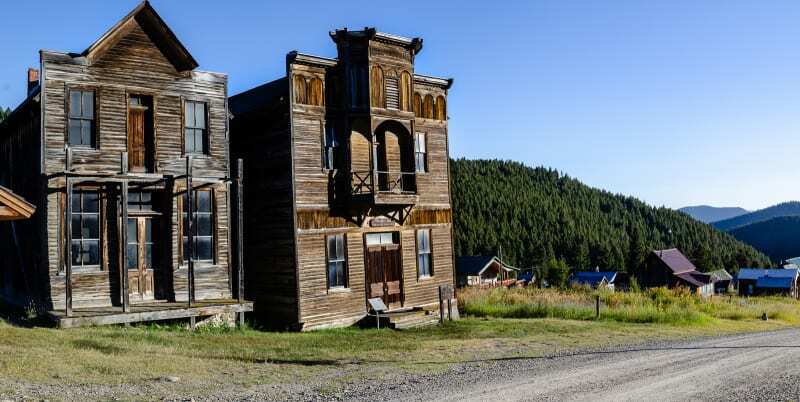 Elkhorn was a silver mining town founded in the 1870s, and it grew to have roughly 2,500 residents by the late 1880s. 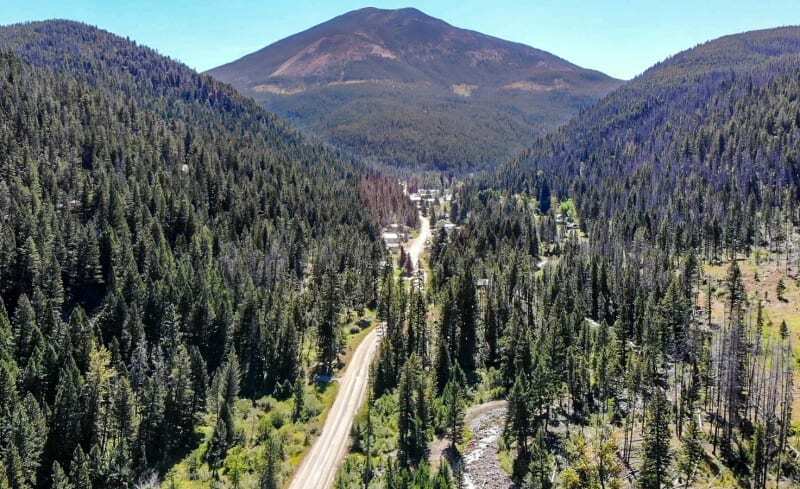 It was in decline by the start of the 1900s, though, and mining operations ended in the 1930s, around the time railroad service to the town was discontinued. Today, only two notable historic buildings remain in the town: Fraternity Hall and Gillian Hall. Combined, the two buildings comprise the smallest state park we’ve ever visited. The town isn’t completely abandoned. There are about 10 full-time residents and a handful of seasonal residents. Luckily for us, two of those seasonal residents are my cousin’s husband’s parents! We met up with my cousins and went to visit for an afternoon. We were treated to a private tour of the town, including the historic water tower that was used by the railroad and is now being restored. A water tower in Elkhorn, Montana. It was originally used by the railroad, and it’s in the process of being restored. Our last stop was Rimini, a silver and gold mining town formed in 1864 and peaking in 1890 with a population around 300. To be honest, we didn’t really come to this town for the history. We did take a quick drive through town to check it out, but we were there to find gold! 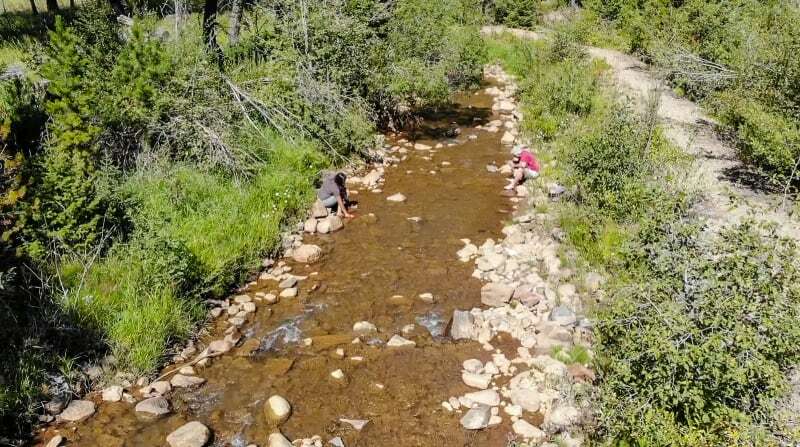 Rimini is located within Helena National Forest along Tenmile Creek, a great spot close to Helena, Montana, where you can legally pan for gold. We weren’t exactly well equipped for it – our gold pans were really just bowls from our kitchen, and our only panning knowledge came from a youtube video we watched, but we still had a lot of fun. I managed to concentrate the black sand, but there was never any gold in it. My dad found a few flecks, though! I’ll have to try harder next time. We begin our journey south with a quick trip into Idaho. Full disclosure - I’m writing this as though I planned all of it, but really it was entirely my mother. We just tagged along. Thanks, Mom!